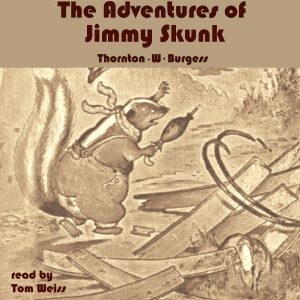 Jimmy Skunk is slow and avoided by his neighbors because of the perfume that Mother Nature has given him for protection. But his perfume doesn’t keep Peter Rabbit from playing a trick on both Jimmy and Reddy Fox. When Jimmy thinks Reddy has pulled the joke, Reddy gets a dose of Jimmy’s perfume as punishment. Most folks think Reddy Fox deserves what he gets because he is always trying to catch and eat Jimmy’s friends. When Jimmy learns that Peter Rabbit has played the trick on him instead of Reddy Fox, he decides to teach Peter a lesson. Later in the story, Jimmy meets Unc’ Billy Possum and the two of them get into a spat. Jimmy teaches Unc’ Billy (and us) a lesson about getting angry.